The vanilla wafer of the rap game is back with some flashy flows and cute bars about his momma. Is this the exciting Big Sean we’ve all been waiting for – or more of the same? Dark Sky Paradise, the Detroit emcee’s last album, had some badass beats on it and glimpses of endearing introspection, although was largely dragged down by corny bars and an utter lack of originality. On this newest record, the hip hop artist has cut out the corn and upped the soul. There are still some arrogant bangers in the mix such as ‘Bounce Back’ and ‘Moves’, but most of it is personal heart-to-heart stuff. If Dark Sky Paradise offered a window into the life of Big Sean, this new record is practically him opening the door and inviting us in for a drink. Sharing with us his accomplishments and flaws, he manages to stay likeable. You feel like a close friend of his once the album is done. And you can’t help but feel proud for all he’s achieved as he humbly takes time to thank his mum and fans as if accepting an Oscar. 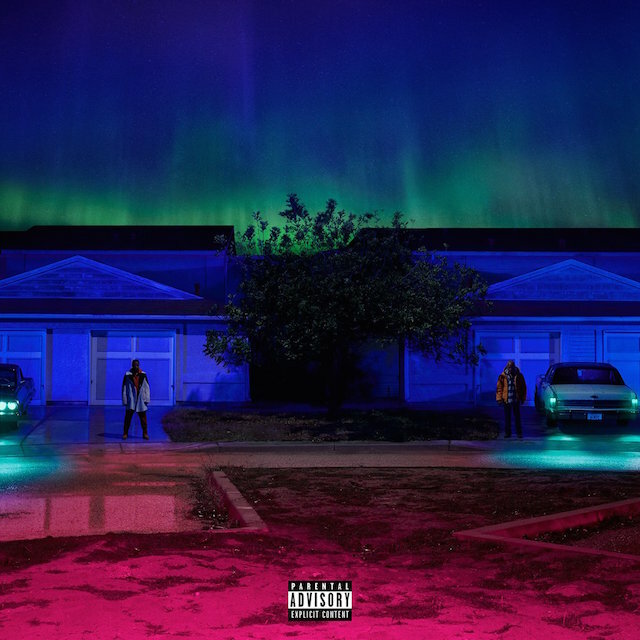 But then a bitter sense of disappointment takes over when you realise Big Sean has got to where he is by stealing the styles of every other rapper – something he’s STILL doing on this album. He spends a great deal of this album sounding like Drake (there are claims Drizzy bit his flow, but you can’t honestly tell me those moany inflections and failed relationship themes aren’t Drake-inspired? ), whilst switching between Kanye, Future and Kendrick impressions for the remainder. That isn’t to say he’s not talented. His flows are impressively versatile, delicately half-singing on tracks like ‘Same Time’ whilst picking up the tempo towards the end of ‘Voices In My Head/Stick To The Plan’ (although the droned hook ‘stick to the plaaan’ is one of the more embarrassing moments). He adjusts to each beat like a Swiss army knife, unlike his improbable guest Eminem who’s choppy flows ride the instrumental of ‘No Favors’ awkwardly like a greyhound on roller-skates. Perhaps if Big Sean was to really work on it, he could use his capacity for flows to create some wholly distinctive flows of his own and make this his USP. He still feels like he’s jumping on trends at the moment, and whilst this album gives us all a better idea of who he is, I still can’t see where he fits into the grand scheme of things.